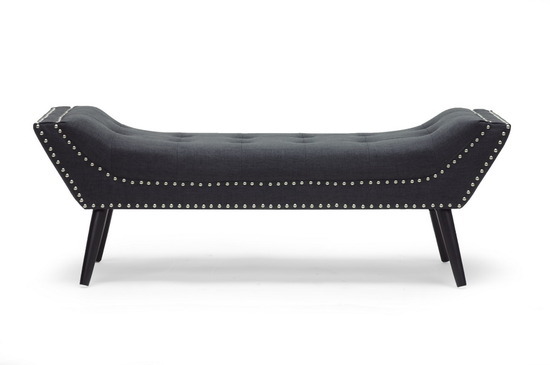 Rife with button tufting and silver nail head detail, Avalon Bench dares to be different. This style-conscious bench features MDF frame with linen upholster, firm fire retardant foam cushioning and black-stained solid birch base. Add an elegant statement to contemporary rooms with the Avalon bench. Complete your collection with the matching sofa, chair, ottoman and loveseat. -- Please Choose an Option --	Overall: 18.5"H x 52.5"W x 17"D - Seat Height: 15.5"